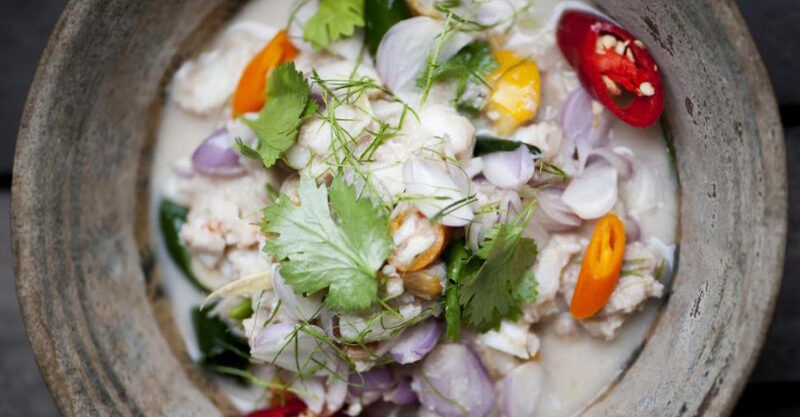 Must-try Thai: Award-winning Australian chef David Thompson makes his Hong Kong debut with Aaharn, an elevated Thai concept that joins the wealth of culinary offerings at Tai Kwun. Look & Feel: Aaharn is located on the top floor of historic Tai Kwun’s former Armoury, overlooking the Parade Ground. The spacious interiors are filled with artworks curated by Ben Brown gallery. There’s outdoor seating, too. On the Menu: Aaharn’s menu is based around kub khao (dishes meant to be eaten with rice). There are two seven-course tasting menus ($698 for vegetarian, $798 for non-vegetarian) that feature curries, relishes, stir fries and soups, while the a la carte menu is all about sharing plates. 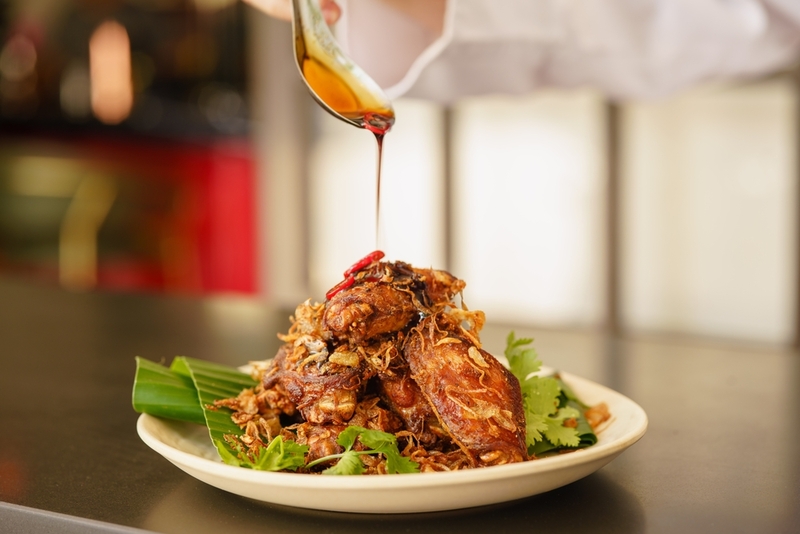 Expect dishes like cured kingfish salad with mint and lemongrass ($148) and minced quail curry with Thai eggplants and green beans. Meet the Chef: Widely regarded as the world’s leading authority on Thai food, Thompson took the world by storm when his London-based Thai restaurant, Nahm, was awarded a Michelin star within the first six months of opening. FYI: Aaharn is Thompson’s first project since departing from Nahm after 18 years with the brand.